“Jewellery”, derived from the word Jewel, in turn from the Old 13th century French “Jouel”, is one of the oldest forms of body adornment. 100,000-year-old beads made from Nassarius shells are thought to be the oldest known jewellery. You probably won’t be discovering any of these in Bath, but below are the wonderful jewellery shops in Bath – Several also provide jewellery making tools and workshops. Nicholas Wylde is a leading independent jeweller and goldsmith in Bath and Bristol. To the discerning lover of jewellery, the name Nicholas Wylde is synonymous with style and quality. Mallory is a family-run business with roots in Bath that goes back four generations. At their long-established Bridge Street showroom, they offer exceptional collections of jewellery, watches and luxury accessories. Philip James has more than 17 years experience in designing and making exclusive jewellery, and has been working as a self-employed jeweller in Bath for over 9 years. Located in central Bath in a picturesque pedestrianised street, the Gold and Platinum Studio is owned and run by designer goldsmith Michael Parsons and his wife Elizabeth. As a long established business which began trading as The Gold and Silver Studio, Michael and Elizabeth have forged ahead with a range of fine jewellery, much of which has been designed and hand made on the premises. First established in Bath more than 40 years ago. Nigel Dando’s varied stock consists of an eclectic blend of new and pre-owned jewellery together with a large selection of competitively priced silver designer jewellery, recently complimented by the superb Thomas Sabo Collection. Clive Ranger Ltd. are widely recognised as “The Diamond Experience”, in South Wales & the West of England. Our Expertise in manufacturing and design enables us to offer unique innovative jewellery at excellent value to our customers. Our team is trained and qualified to the highest standards in the Jewellery trade to deliver expert advice and impeccable Service. 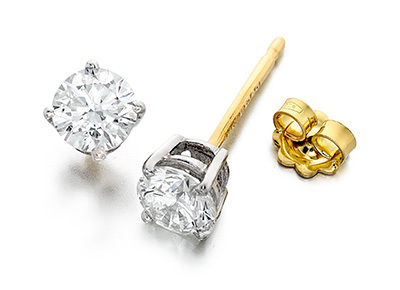 Goldsmiths is a business with more than 230 years of tradition and experience. Today, Goldsmiths is the largest quality jeweller in the UK with over 130 showrooms in every major town and city from Aberdeen to Torquay, as well as five in Northern Ireland. The Pia collection celebrates their passion for truly creative styling and craftsmanship from all over the world. Thei designs are timeless classics, often inspired by nature or reflecting a cool modernity. Pia Jewellery is lovingly crafted to the highest standards and yet surprisingly affordable. All safely delivered to your home in beautifully presented boxes. From modest beginnings in 1949, Ernest Jones has grown from a single store in London’s Oxford Street to the a highly reputable national chain of over 190 jewellery stores – bringing to suburban and provincial locations the quality, range, presentation and high standard of customer service once only available in London’s West End. Their wonderful glass jewellery is made by the Bath Aqua Glass jewellery artists. This glass jewellery uses, dichrioc glass, blown glass, and fused glass. The glass jewellery made in the stained glass studio is made with dicrohic glass which is a glass developed by NASA it has amazing properties very close to an opal. It was designed for space-ships to reflect heat and light. H.Samuel has almost 400 stores nationwide and is part of the Signet Jewelers Ltd, the world’s largest specialist jeweller. Firmly established as the UK’s favourite high street jeweller, H.Samuel brings together an unsurpassed range of quality products at exceptional value. Fabulous, the award-winning independent designer jewellery boutique, opened in SouthGate on Saturday October 30th, bringing over 20 leading designers to Bath. With leading international brands like Pandora, Thomas Sabo, Nomination and Swatch, along with top designers such as John Rocha, Lola Rose and Chan Luu, customers visiting SouthGate will be spoilt for choice. Justice are an independent jewellers dedicated to seeking out the best in British contemporary design. Since the opening of their first store in Bath in 1996, Justice has been committed to presenting collections from over 30 talented designers. With the enhanced graphics of state-of-the-art computer techniques, CMS can deliver the perfect customer package and share with you the exciting process of bringing to life unique jewellery designs in a personal concierge style service.